Interesting alternative to devote some time swimming in Muros de Nalón. Is it not your first time here? Tell us how it went making use of the Facebook comments below or contacting us directly! 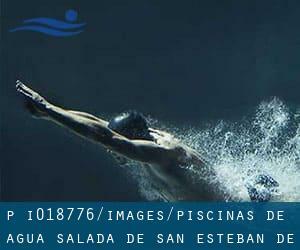 Piscinas de Agua Salada de San Esteban de Pravia is only one of all the swimming pools Swimia is offering you, and its information and facts has been shared with us by a swimmer like you.Remember you'll be able to now promote Piscinas de Agua Salada de San Esteban de Pravia by sharing this page with your buddies, adding comments and linking to us. This sports center provides Olympic size, Outdoors, Salt Water, Non-Chlorine Sanitized. Contact information for this Swimming Pool just like phone number and email address are number. New in Muros de Nalón? Updated on 2019 Calle Jovellanos, Junto a Guarcia Civil , La Felguera , Langreo , Spain (Postal Code: 33930). Swimmers like you reported 25 meters x 17 meters, 8 lanes, Indoors. Unfortunately we do not have the e-mail address of this Pool, but we can provide you with the phone number. Updated on 2019 Avenida Juan Carlos I , Gijon , Spain (Postal Code: 33212). Swimmers like you reported 25 meters x 12 meters, 6 lanes, Indoors. Unfortunately we do not have the email address of this Swimming Pool, but we can give you the phone number. Updated on 2019 C/ Sabino Álvarez Gendín 14 , Aviles , Spain (Postal Code: 33402). Among all the activities supplied by the center, when you are interested in swimming you are going to appreciate 25 meters x 16.67 meters, 8 lanes, Indoors. Just in case you need to contact this Swimming Pool just before dropping by, we only know the phone number. Updated on 2019 Avenida Jesús Revuelta s/n , Gijon , Spain (Postal Code: 33203). Few days ago a regular user of this center told us they offer Olympic size, 8 lanes, Indoors. Furthermore, they keep in good conditions 25 meters, 6 lanes, Indoors. Contact facts for this Swimming Pool similar to phone number and email address are number. Updated on 2019 Plaza de Concha Heres 6 33010, Oviedo (Asturias). Swimmers like you reported 25 meters x 10 meters, Indoors. Phone number and e-mail address are number for this Swimming Pool. Updated on 2019 Avenida Luxemburgo , Oviedo , Spain (Postal Code: 33011). Among all the activities supplied by the center, if you are interested in swimming you can expect to take pleasure in 25 meters x 16 meters, 1.4 meters - 1.7 meters depth, 1.4 meters - 1.7 meters depth, Indoors. Just in case you want to contact this Swimming Pool just before dropping by, we only know the phone number. Updated on 2019 Calle Camino del Lucero , Gijon , Spain (Postal Code: 33212). Few days ago a frequent user of this center told us they offer Olympic size, 8 lanes, Indoors. Furthermore, they keep in good conditions 25 meters x 12.5 meters, 6 lanes, Indoors. Contact details for this Pool just like phone number and email address are number. Updated on 2019 El Rayo s/n , Pola de Siero , Spain (Postal Code: 33510). Swimmers like you reported 25 meters x 12.5 meters, 6 lanes, Indoors. Unfortunately we do not have the email address of this Swimming Pool, but we can give you the phone number. Updated on 2019 Avenida de El Llano, 69 , Gijon , Spain (Postal Code: 33209). Swimmers like you reported 25 meters x 16 meters, Indoors. Unfortunately we do not have the email address of this Swimming Pool, but we can give you the phone number.